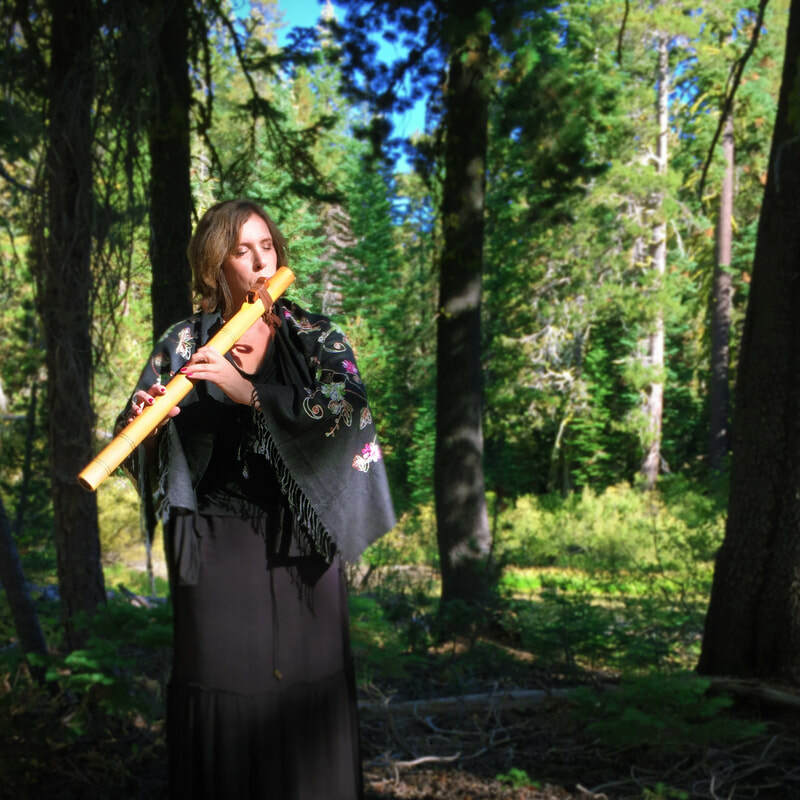 Quiet Spaces: Flute Meditations for Mindfulness and Relaxation Discover new realms of inner-peace with relaxing music from world flutist Ann Licater performing on Native American, Native American-style, folk and alto flutes. These 15 calming tracks feature soft, deeply reflective solo and duet compositions pristinely recorded in Licater’s signature style for a soothing listening experience. This artful, sonic journey is perfect for mindfulness practices, meditation and well-being. Also recommended for yoga, spa, healing arts, creativity, study, sleep, and overall stress reduction. Solo-inspired much like Ann’s 2007 release Following the Call. Ann plays 11 different flutes (Native American, Native American-Style and silver Alto) on this 5th CD Release. Ann’s music airs on Pandora, Spotify, XM Sirius, Music Choice. Ann Licater is an award-winning recording artist, world flutist, producer and composer of relaxing music. Her love of wood and clay flutes led her to study with master Native American flutist R. Carlos Nakai(Navajo-Ute) complementing her years of classical flute training at the MacPhailCenter for Music in Minneapolis, MN. On her albums, as in her concerts, Ann’s unique approach merges her intuition, global perspective and traditional music background. Licater’ssignature sound on Native American and world flutes has been lauded and embraced worldwide, heard via inflight entertainment, spa radio stations and as meditation music in yoga studios and beyond. Her California-based label is Cul de Sac Mystic Productions. Workshop and performance information is accessible through www.culdesacmystic.com. -- Interview on Neptune Currents KKUP 91.5 (Cupertino), CA with host Steve Davis at 10 am October 14, 2018. Quiet Spaces: Flute Meditations for Mindfulness and Relaxation-- a collection of 15 tracks including “Candlelight Journey,” “Celtic Sun Salutation” and “Wings of Sleep” -- showcases Licater’s distinct and beautiful style on an array of world flutes including Native American, Native American-style, transverse folk and silver alto flutes. The album’s “quiet spaces” theme is reflected in the artist’s selection of flutes, which range from a Mayan Temple flute replica to an Eastern Tennessee Butternut Native American flute. Licater plays these flutes, among others, on her first albumFollowing the Callwhich brings this new album full circle for the artist and a return to a familiar sound palette for listeners.